Are your favorite Windows features due for a comeback? 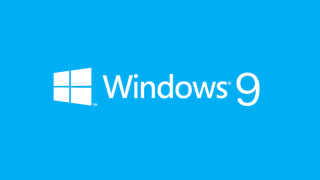 Set your calendars - it seems Microsoft is all set to unveil Windows 9 on September 30. Sources familiar with Microsoft's plans have informed The Verge the company has begun planning a big press event at the end of September to officially unveil the next version of Windows. Codenamed Threshold, Microsoft may even have a developer preview of Windows 9 waiting in the wings for release in in late September or early October. Sources claim the event will reveal many of the key features in the upcoming operating system. One of the most exciting tidbits of the Windows 9 preview is it could include an early desktop version of Cortana. So far Microsoft's virtual assistant has only lived on Windows Phone 8.1 mobile devices, though some features have spilled over to Bing. It would make sense for Microsoft to implement Cortana on full-fledged PCs considering the company has announced it was moving towards a single Windows platform across devices. Early reports surrounding Windows 9 thus far have suggested Microsoft will bring back features to make its next operating system more focused for desktops. Most importantly Windows 9 could reintroduce the Start menu with a few incorporated smart tiles influenced by Windows Phone 8.1. More recent reports have suggested the Redmond company will do away with the Charms bar and move quick access options to application title bars. Supposedly Microsoft is implementing the change in service of a more keyboard-and-mouse friendly experience for desktop users. Microsoft has also been purportedly building a combined version of its Windows RT and Windows Phone operating systems. We imagine this hybrid platform could be used for a new line of more entertainment consumption-based tablets rather than a productivity mobile PC like the Surface Pro 3. Stay tuned to this space as we're sure to hear more about Microsoft's coming announcement as we move closer to the rumored September 30 reveal.